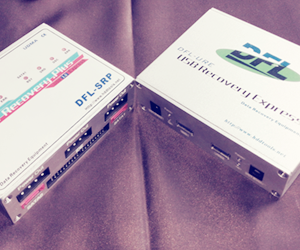 When we are entering data recovery business, it’s important to know the importance of clean room! A Class 100 Cleanroom, is a pristine facility maintaining fewer than 100 circulating air contaminant particles per million (10,000x purer than our everyday environment), ensuring a regulated atmosphere for performing sensitive open drive surgery. A confined area in which the humidity, temperature, dust particles and contamination are precisely controlled. The air in these rooms is thousands of times cleaner than that in a typical hospital operating room. 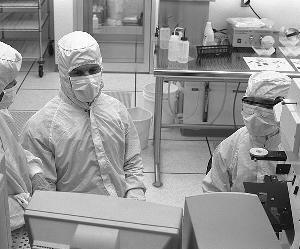 The “class” of the cleanroom is defined by the maximum number of particles in one cubic foot of cleanroom space. 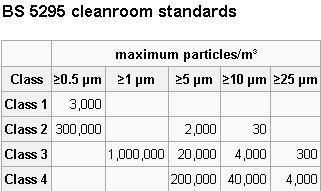 Cleanrooms are classified according to the number and size of particles permitted per volume of air. 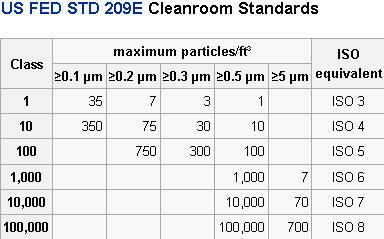 Large numbers like “class 100” or “class 1000” refer to FED-STD-209E, and denote the number of particles of size 0.5 µm or larger permitted per cubic foot of air. The standard also allows interpolation, so it is possible to describe e.g. “class 2000”. Small numbers refer to ISO 14644-1 standards, which specify the decimal logarithm of the number of particles 0.1 µm or larger permitted per cubic metre of air. 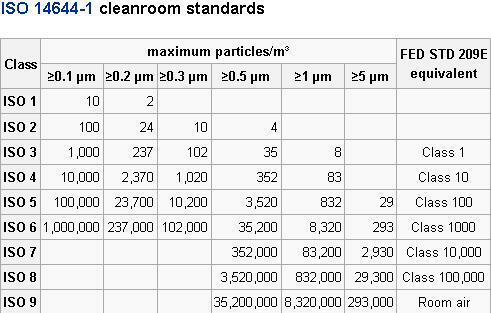 So, for example, an ISO class 5 cleanroom has at most 105 = 100,000 particles per m³. Both FS 209E and ISO 14644-1 assume log-log relationships between particle size and particle concentration. For that reason, there is no such thing as a “zero” particle concentration. The table locations without entries are N/A (“not applicable”) combinations of particle sizes and cleanliness classes, and should not be read as zero. US FED STD 209E was officially cancelled by the General Services Administration of the US Department of Commerce November 29, 2001, but is still widely used. BS 5295 Class 1 also requires that the greatest particle present in any sample does not exceed 5 ?m. If it is necessary to open the disks and change the heads, platters when there’s hard disk clicking or other noises which make the drive inaccessible , then we need to finish such operation in the clean room to avoid possible further damage to the platters.